A visit to "The City of Ten Thousand Shrines" is both a journey into a modern metropolis and a spiritual adventure that will leave you with lifelong memories. Kyoto, the former capital of Japan, has a religious history dating back to the 6th century, when the Shimogamo Shrine—a Shinto sanctuary—was constructed. Of course, your Kyoto trip won’t just be temples and learning experiences. The city also has some of the country’s best food. Starting to tickle your fancy? Well, pack your eating pants and let’s go. The Kinkaku-ji, or "Golden Pavilion," is the most recognisable site in Kyoto—one of over a thousand temples, and a stop at this peaceful, exquisite place should be your introduction to the sacred city. After breathing in the solitude, head into Kyoto and enjoy yourself! 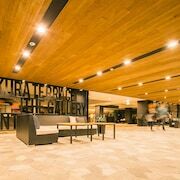 Immerse yourself in the culture by taking a Haru or kappo-style cooking class, followed by a lesson in history at the Samurai Kembu Theater. We recommend attending the demo and the costumed lesson—not only will you learn all about the way of the samurai, you’ll get to be one for a day. If you’re not ready to live a life of honour and thoughtfulness (and hey, who is? ), make some friends with the local wildlife instead at the Kyoto Zoo or Kyoto Aquarium. Should you wish to head outside the city, book one of our Kyoto car hire options so you can see all the sights at your own pace. Shopping takes on a whole new meaning in Kyoto. Buy cheesy souvenirs in the Shinkyogoku District, or walk a little further to Teramachi Street, where you can browse everything from local boutiques to the larger department stores. You’ll definitely find all kinds of goodies in this latter area, so keep your credit card in-hand as you peer into windows. Dining is also an experience to be had in Kyoto, as you might have guessed from the cooking classes you just crashed. The Nishki Market is five blocks of food heaven, jammed with everything from fresh seafood and vegetables to the tools you’ll need to concoct the perfect meal. Not into cooking for yourself? That’s cool—nothing wrong with preferring room service! Kyoto is a noodle-lover's dream. You can find freshly made udon and ramen noodles—you won't be satisfied by store-bought ramen ever again (not that you ever were—you have class!). Chic coffeehouses and restaurants have also sprung up over the past few years, so if you absolutely cannot function without your favourite latte, you’ll find one here. Once the sun sets, it's time to put on your dancing shoes. The Pontocho neighbourhood teems with karaoke bars, hostess clubs, restaurants and nightlife in general. 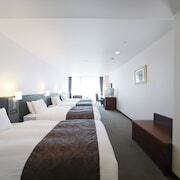 Those looking for something more relaxed can see a movie or enjoy a long walk at Kyoto Station. Whether you’re looking to reconnect with your spiritual side or just want to devour as much delicious food as you can safely hold, Wotif can help you plot out your perfect holiday. 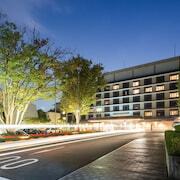 Stay in the city proper or look into Ukyo Ward holiday packages for something a little more peaceful. Whatever your pleasure, it’s time to book your Kyoto holiday! Visit the world of a wealthy and powerful shogun in this opulent 17th-century castle complex. Modelled on a setting in a novel, this site has one of Kyōto’s greatest traditional gardens and architectural treasures. 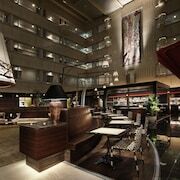 The service at this hotel was spectacular, we were very pleased with the attentiveness or staff and the facilities. 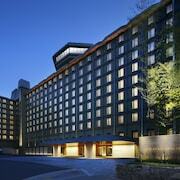 Terrific location close to Kyoto station. Room was clean and modern. 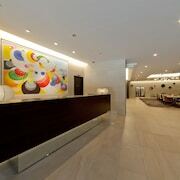 Welcome drink each night, free laundry facilities and tea and coffee stations. Would definitely sray again! 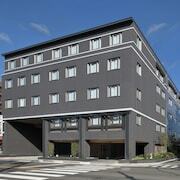 Great location right next to Kyoto station. Rooms were great though minimal storage space. Ok if you were only there to sleep. Location for this hotel was outstanding. However, it feels a little run down and unloved. The room was dusty even after a full clean. Check in was a little complex even with assistance from the staff. We really liked this hotel. The location is excellent, our room was very big and very clean. The bathroom was beautiful and had all the supplies. We will definitely stay here again. Very good pricing in Worif, we felt lucky to have stayed in this hotel. Free shuttle bus to the nearest train station, very nice and excellent service. Extremely clean and spacious room. Will stay again once back to Kyoto.